Social media is a prime topic for infographics. Data-heavy and continually evolving, this is an aspect of the internet that you can almost always find some new facts about. Since social media is so widely used, it’s a valuable area in which to hone your expertise. Learn more about how you can create engaging infographics about social media and why you’ll want to. Of the internet’s 3.5 billion users, a massive 3.03 billion are active on social media. There’s also a new social media user roughly every 15 seconds, rapidly adding to this number. Social media is clearly something the majority of online users engage with, which makes it a key topic for infographics on several fronts. One of the first steps in successful infographic creation is assessing your audience and pinpointing their top interests. 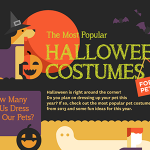 Your infographic will perform well only if you choose a topic that your key demographic finds intriguing. You won’t do well promoting an infographic on parenting trends to an audience of bachelors, nor citing statistics about dog breeds among a group of cat lovers. While many topics are extremely niche, social media is something most internet users have some connection to. Social media use is interesting not only to the individuals who actively engage with it, but also to the companies who stand to grow their sales by successfully promoting products and services on it. In 2016, roughly $40 billion was spent on social network advertising. Where businesses are investing this kind of money, they’ll want to gather a great deal of information. Research into social media strategies and statistics holds great value for marketers who are looking to dive into this lucrative landscape. Infographics are designed to present complex topics in an easily understandable format. The ideal topic for an infographic is one that’s heavy in data. From the section above, you can see that there are many intriguing data points about social media that are worth sharing. While you can write about the number of users on various sites, the sums spent on advertising, and the usage trends that have evolved over time, all these topics are better represented with a data visualization. A list of numbers is often difficult to digest. Toss statistics into a long-written piece and you risk losing the impact amid the prose. 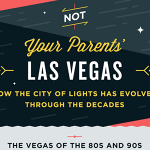 Infographics are smart, punchy, and easy to understand. Viewers can see in an instant that Facebook has several times more users than Twitter, without having to muddle through the math in their heads to see how one compares to the other. The same users who are highly engaged on social sites are likely a good choice for infographic marketing. Social media sites such as Twitter cater to viewers with a shorter attention span. Users like to grab their information in an instant and scroll on to the next thing. Infographics meet the needs of impatient users, providing information that’s easy to scan and highly scrollable. Infographics and social media topics work together wonderfully. Social media is a topic that’s valuable to everyone, from marketers to individual users. Whether you’re looking to master the ever-changing features of Facebook for your personal posting or you want to learn how to connect better with customers on social sites, the right infographic can point you in the right direction. 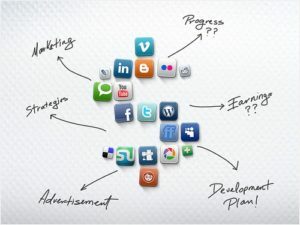 Social media marketing strategies – Tell today’s marketers how to connect best with their customers using the features of social media sites. Social media posting calendars – Highlight the best time of day and the day of the week to connect with users. Though a popular topic, this can be customized by the demographic for easy personalization that suits your niche. Social media demographics – Explore the specific demographics of social media users on various sites. Beyond age and ethnicity, explore what their occupations are, their preferred means of transportation, what they eat, how they fill their free time and other out-of-the-box concepts. Video marketing trends – Video marketing is growing beyond YouTube, emerging on sites such as Facebook and Twitter. Dive into these trends. Live streaming trends and tactics – How are live video streams impacting social engagement? Explore trends that are emerging as live video competes with sleek pre-recorded pieces. Social media best practices by site – Every social media site is different. Use an infographic to break down these differences and highlight best practices for various sites. Usage trends by site – Explore how users are spending their time on various social sites and what engagement looks like with different platforms. How does the “like” measure up to the “retweet”? The effectiveness of social media communications – Social communications are taking the place of many other forms of interaction. Explore whether these communications are as meaningful and valuable. The potential for social media topics is nearly endless, and these subjects all lend themselves well to the data-heavy and highly visual format of an infographic. What questions is your audience asking about social media? Infographics are ideal for addressing top concerns and providing a quick and concise response to a major concern. You can complement a white paper that dives deep into the topic with a short and sweet infographic that satisfies the viewer’s need for a quick response. How can I connect with my demographic using social sites? What are my customers doing online in a day? How do I build an effective social media presence for my company? Is my information safe on social media? How do I use the features of social sites? How do privacy settings and sharing options work on social media? What topics are people tweeting about the most? Choosing even a single key question about social media in your industry can yield an entire infographic worth of content, particularly when you know how to approach infographic design and research. There are plenty of bland infographics on social media, but you want to design a piece that stands among the top contenders. It’s important to take a unique approach, like The Internet’s Undersea World. 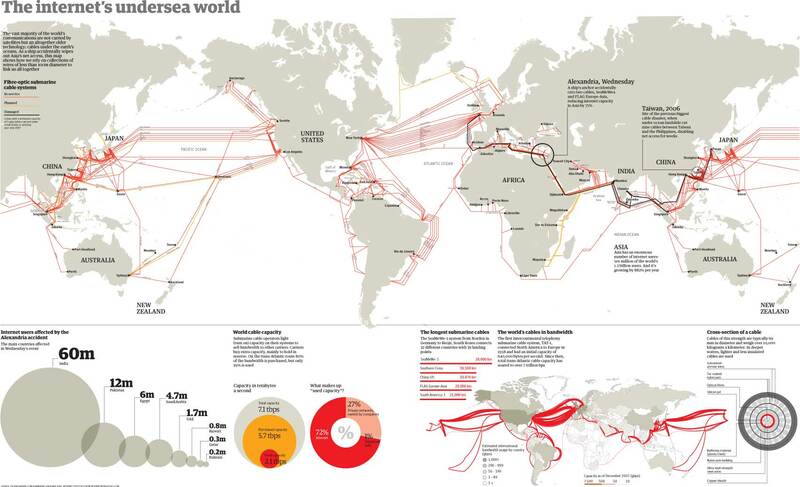 This infographic looks at how submarine cables connect internet users around the globe. 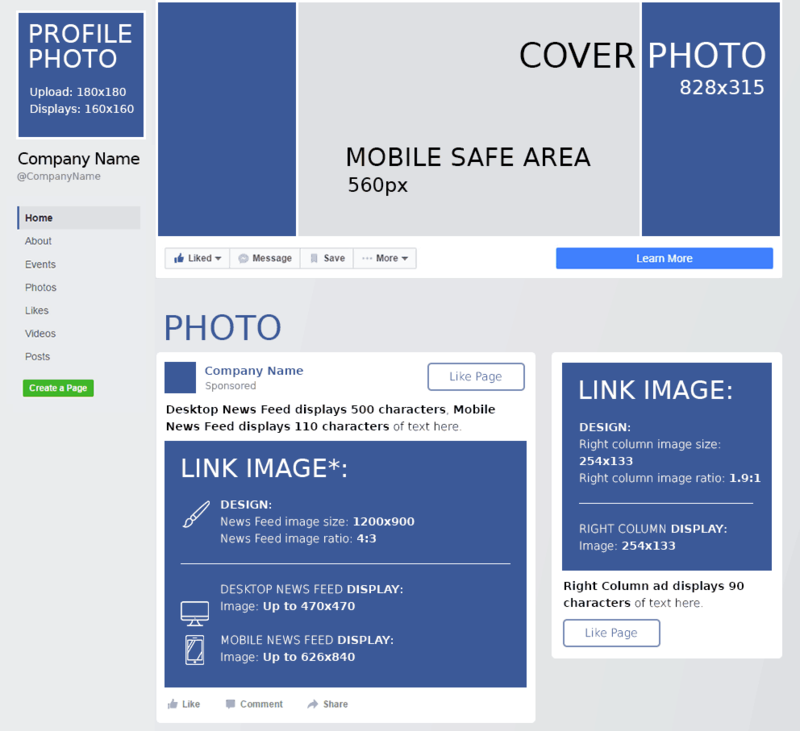 DreamGrow’s Facebook Cheat Sheet looks like a Facebook profile, but it breaks down the key elements of the page with essential facts such as character limits and image pixels. This faceoff between Facebook, Twitter, and LinkedIn is sleek and simple, yet packed with valuable information about the three social media contenders. 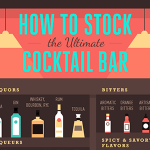 There are many different ways to design an infographic. 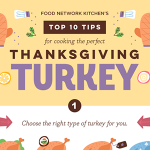 Choosing the right layout for your infographic is critical for the proper presentation of your information. 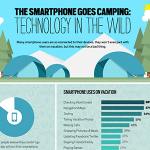 Infographics about social media lend themselves well to a few key infographic types. How-To Infographics: Designed for step-by-step explanations, how-to infographic layouts are ideal for topics such as “How to Set Up A Facebook Business Page,” or “How to Incorporate Influencers in Your Social Strategy.” You can break down a complex topic into actionable tidbits that make even a big project seem easily manageable. Data Story Infographics: If your research is primarily composed of facts and figures, a data story infographic will turn those numbers into something engaging and understandable. Data story designs are great for topics that explore the demographics of social media sites or traffic trends. List Infographics: A list infographic works well when you have a topic that hovers on the line between infographic and article. You could probably go either way with the content. However, turning it into an infographic allows for more visuals and better side-by-side comparisons. Use this layout to list apps that help schedule social media posts or sites that are becoming more active in the social landscape. Timeline Infographic: The evolution of social media is a fascinating topic. Usage trends are constantly changing and evolving, and a timeline is the best way to demonstrate this. Use timelines in any situation where your topic includes dates or years and progresses as you move forward. Infographics about social media take a turn on making a complex topic into something easily understandable. When you’re covering tech-focused marketing topics, you can accomplish this by comparing social sites to something readily recognizable by the average viewer. If you’re introducing social media to an older audience, compare social communications with those from the past, such as letters, phone calls, and even in-person visits. Compare the number of users on social sites with the populations of various countries. Make usage trends more understandable by holding the number of logins on a social site up to the people who go to a local grocery store during the day. Take the individual’s daily experiences and well-known associations and use these to make social media topics more understandable. In some cases, your social savvy audience will understand the topic best when it’s presented in the same format that social media sites use. Demonstrate effective Facebook marketing with an infographic that looks like a mock-up of a Facebook page, or highlights effective Twitter strategies in a format reminiscent of tweets. The right layout will make a dramatic difference in how the information is digested. Not surprisingly, infographics on social media topics may benefit from promotion on these same sites. There are some key factors to consider if you want to feature these infographics on social media platforms. Infographics are typically tall and slim. Vertical images like these look their best on Pinterest. If you have a presence on this site, it’s an outstanding option for featuring your infographics. Native uploads are often best on this site. Share your infographic on SlideShare in PDF for easy viewing. From either Pinterest or SlideShare, you can share your infographic to Twitter, Facebook, and other platforms with the click of a button. This strategy can help you gain followers across multiple sites. If you want to share your infographics directly, consider posting only a portion of the graphic. Facebook and Twitter are both designed for smaller images. Select a small portion of your infographic to feature on these sites and link it to the full infographic posted elsewhere. You can use this sharing strategy to pull viewers to your company’s website or blog. If you prefer to keep the entire infographic accessible on a page such as Facebook, consider breaking it up into a series of images. Think through your sharing strategy carefully. Since infographic viewing often pulls viewers from one site to another to see the full piece, you’ll need to thoughtfully map out the path that you want viewers to take. Focusing on a smaller niche of the population. Exploring how a specific topic, such as politics, is represented on social media. Updating outdated statistics with more recent facts. As your social media infographics will likely rely on many core statistics, it’s critical that you make sure your information is solid. Gather your figures from the sites themselves whenever possible. If you’re gathering social media data from a third party, look for the fine print that tells you when and how the numbers were sourced. If you’re discussing marketing on social sites, use evidence of ROI and engagement to back up your suggestions. If you can’t find these details online in another study, conduct your own. Your audience wants numbers. Make sure you’re providing solid ones. If you’re searching for a wide-reaching topic to focus your next infographic on, social media is one that’s worth exploring. You can approach social sites from many different angles, making it relevant to nearly any audience. Done right, your social media infographics may just get you the peak rankings you’re looking for with your visual content marketing.